These are the two most important ingredients that make a great pomade brew. And not just any tub that helps get your slick on, but one that suits your lifestyle and defines your individuality. 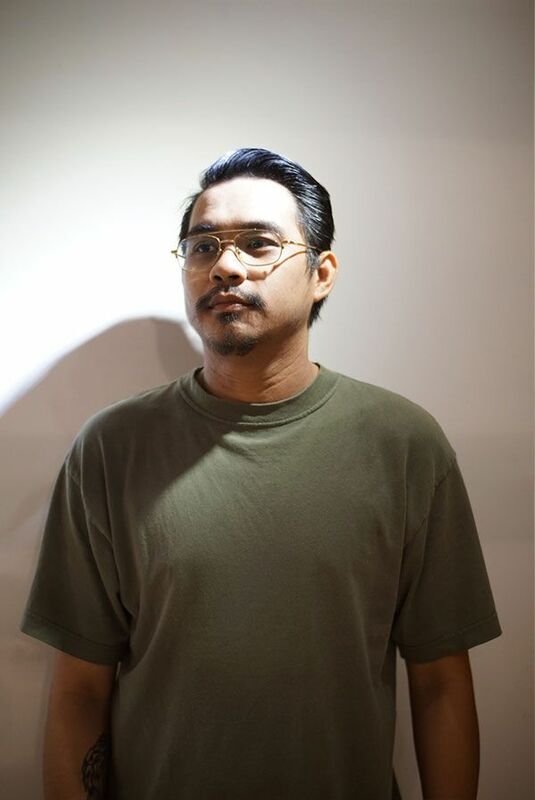 Now you might be familiar with The Maverick PH pomade. It’s been sold in bazaars and in many of Manila’s finest barbershops for the past three years. More than the “Top Gun” reference, the word “Maverick” lines itself with the most unorthodox of individuals, those who have embraced uniqueness in all their pursuits. The brand has earned its place in the daily grooming routines of many men with its olive-scented variants “The Northener” and “King of the Jungle,” and has thousands of customers that can vouch for its quality. “The grease life isn’t easy! But definitely worth it,” 28-year-old owner Brian Corella shares. This man brews every tin can of pomade he sells by hand, learning the tricks of the trade through various YouTube tutorials. He also learned that he couldn’t simply rely on the grade of raw materials alone, one must hone the skills needed to produce top-notch quality products. "Since my first batch, I’ve acquired quite a number of tricks and skills—from which raw material to put in first, the right temperature required of a specific ingredient, and the timing of blending and mixing,” he explains. His favorite steps in handcrafting pomades: prepping and weighing the ingredients. It’s because precision and attention to detail comes early at this stage, and this ensures the quality and consistency of the product. And that’s when it hit him. It was the moment that shook him into realizing what he needed to pursue. His lowest point aided in defining the trajectory of his ambitions, and, in turn, his new mentality embodies the brand of his business. For him, The Maverick PH brand is one that never settles—even when they’ve already perfected varying formulas to suit the needs of their loyal customers. How do we know he’s true to his word? His line just created the most novel variant we’ve ever heard of: whisky-based pomade. The business is also quickly expanding to evolve into a certified gentleman’s lifestyle brand. Precision and personality. These are the exact same qualities that define The Maverick PH brand. And, in a lot of ways, the man who holds its reins. Are you the type of guy who’s vain about his hair? I can say that I am because it completes a person's ensemble. I read somewhere that you have to try and look your best every day because you never know who you'll cross paths with. Maybe a potential client, an ex, your soul mate, or even your future partner in life. Your hair is your crown, and you have to wear it proudly. How can you wear it proudly if it's not fixed or well groomed? What are your favorite hairstyles right now? I don’t really sport a pompadour myself, but I love the slick back or the comb over side-part. They're clean and easier for me to achieve especially since I have busy days and have to move quickly in the morning. I envy those who can style a no-part pompadour like Elvis—this look is classic. 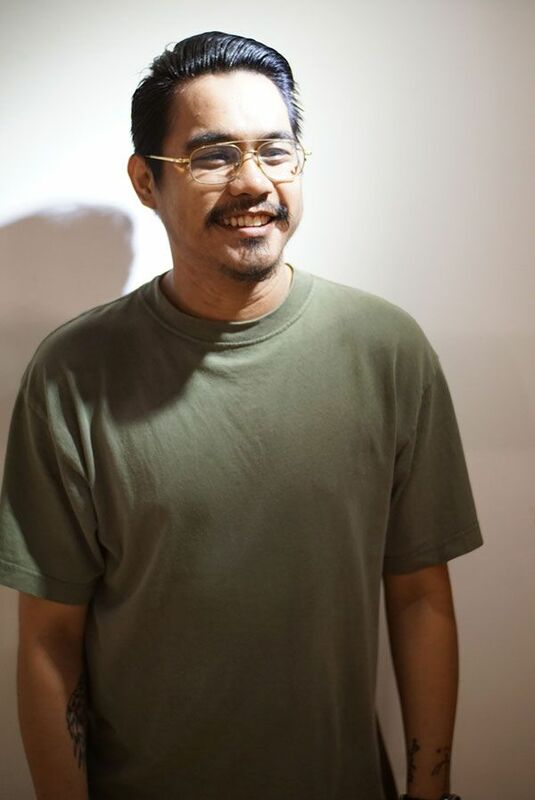 I want to see more of those in the streets of Manila because it’s a really timeless look. What’s the deal with pomades? Why do you think every guy should have them? Every guy should have at least one can of a good pomade in his rotation of hairstyling agents for days that require a more professional and clean look. Pomades are often associated to the rock and roll era of Elvis, and has since made a comeback because of the slick look. Aside from style, pomades are generally healthy for the hair and scalp because of ingredients like virgin coconut oil and castor oil—the most commonly used ingredients in making pomade. Coconut oil helps moisturize the scalp to avoid flaking, and castor oil is the closest comparable oil to the natural oils our scalp produces. Whisky-based pomade is such a novelty item, where did you get the idea for it and what made you decide to craft it? It was really just out of curiosity. I was able to get a whiff of the scent of whiskey in a bar, and realized that there are no fragrance oils that are whiskey-scented. So, I thought to myself, if it was possible to replace the water in our pomades with whiskey then I might actually have something. I experimented with some remaining liquor at home, and surprisingly, it worked! I found out that only a certain percentage of alcohol is left after brewing the pomade, so it was safe and actually helped in removing excess oils and dirt on the scalp. What do you love most about your newest pomade creation? The smell! It has a naturally sweet vanilla and oak scent from the brewed whiskey. It’s as unique as it gets, I had no fragrance oils added to it. I’d like to think that it worked for a lot of our customers too—its hold, shine, and endurance. Plus, it washes off easily, too! What do you think continues to make The Maverick PH brand a success? I think it’s the consistency of the values we share with our consumers and clients. A lot of the customers are friends too, some are even considered family. Of course the consistency of quality for the products we produce should not be discounted. I also can’t overlook the fact that I am very concerned with direction and branding. I think maintaining the personality of a brand is very important to keep it sustainable. The attention to detail with the brand’s postings, the packaging designs, our social media, everything has a role to play. You’re also moving past pomade and making craft leather goods. Why did you decide to branch out? Actually, we have more merchandise coming out in a few weeks. 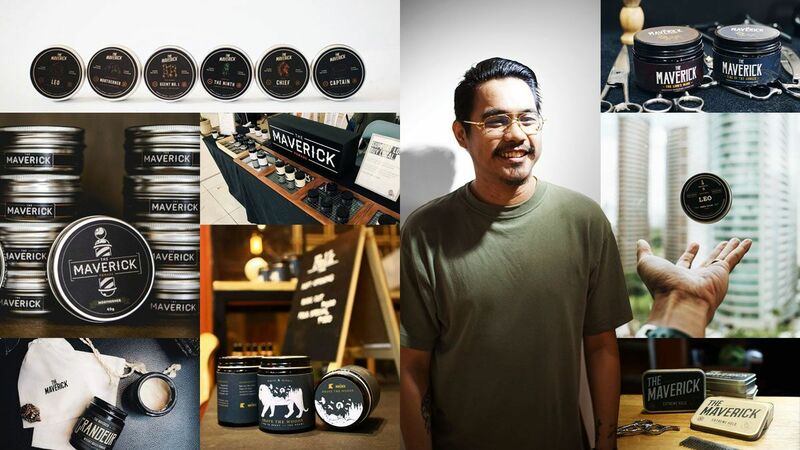 The Maverick Pomade has transitioned from being just a pomade brand to a lifestyle brand, and this is why it's now The Maverick PH. It's a lifestyle brand that provides and focuses on men’s essentials. It took us a little over a month to finalize the newest line. It features a leather key-holder, bum bags, shirts, and a couple of jackets. Everything is tailored to fit needs and wants, function and form.